Adventure Zone Cullinan has been in operation for the past seven years. Operating out of the greater Cullinan area, its business comprises three different, but complimentary sections within the hospitality industry – adventure activities, accommodation and conference/functions venue. When it comes to adventure activities, through its two beautiful adventure farms with some of the most breath-taking gorges, cliffs and river systems, the facility offers diverse venturesome activities. Whether for individuals, company team building, or adventure-hungry travellers, there is a choice of ziplining across rocky gorges, the ancient art of archery, abseiling, as well as quad bike safaris, among other activities. 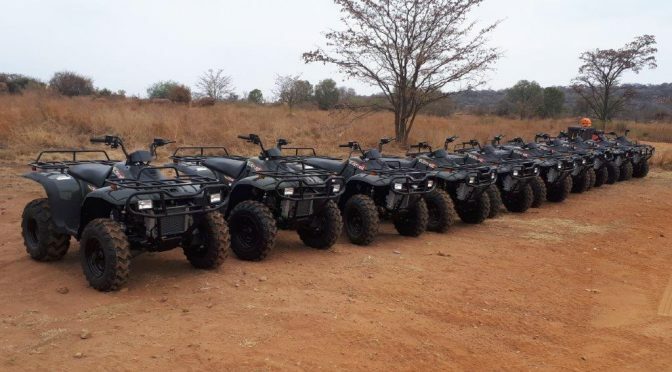 One of the most prominent activities is quad bike safaris, allowing visitors to enjoy a 20-km safari adventure through a game farm from the comfort of the quad bikes. 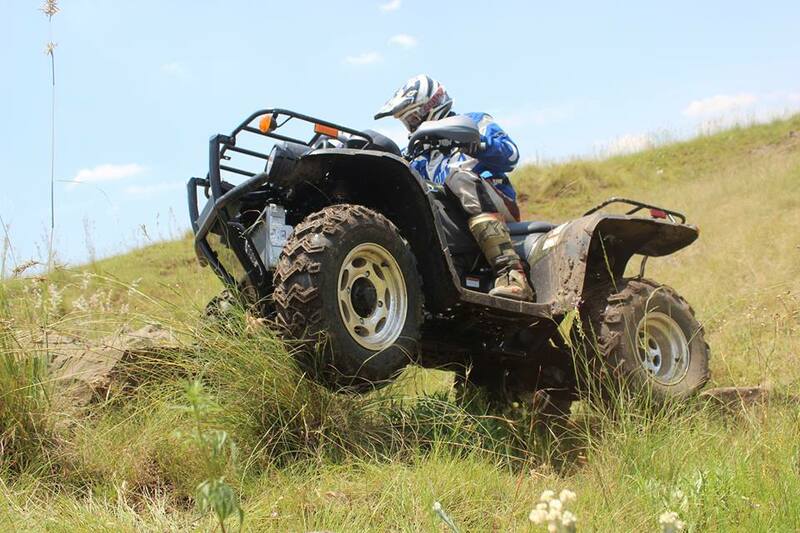 If one is more of a motorised adventure junkie, they can enjoy the stunning 8-km utility obstacle course, including rocky technical terrain, mud, dirt tracks, water and flat sections to suit entry level riders. Why Rustler 260 XL units? 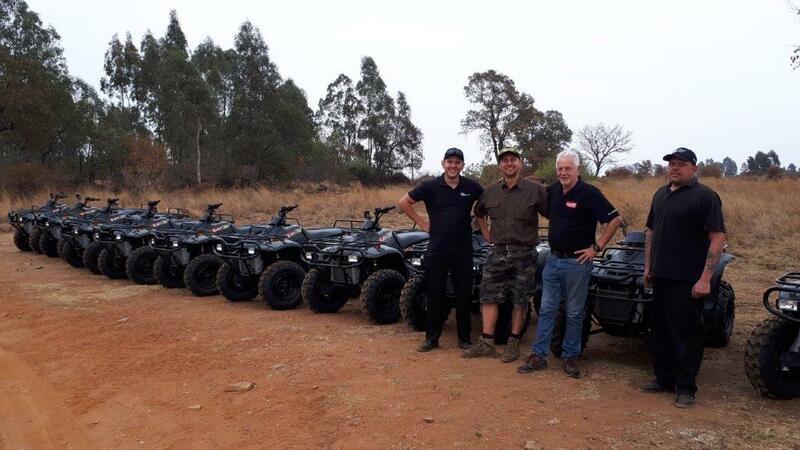 Following the addition of the new 10 Linhai Rustler 260 XL units, Adventure Zone Cullinan now operates a total of 19 quad bikes. 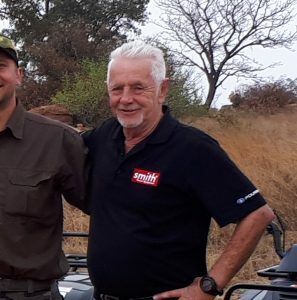 “We have previously run some pre-owned units here and we were impressed by their overall performance,” says Davel. 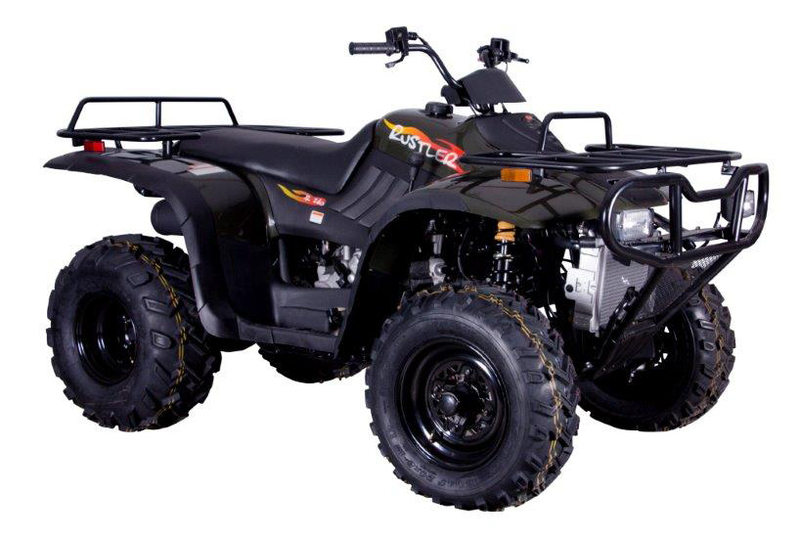 “The Rustler 260XL is the perfect entry-level quad bike. Its lightweight and automatic transmission makes it easy to use, a blast to ride, yet with racks and hitch, it is still capable of helping out with the chores. 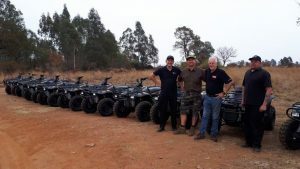 It is for this reason why the Linhai Rustler 260 XL quad bike is one of Linhai’s best-sellers the world over,” concludes Phil Greenall, Smith Power area manager who facilitated the deal. On Safari at Zebula with Linhai Quads Quad bikes and side-by-side vehicles used for rough terrains Tautona’s Linhai’s Boost Business RUGGED. READY. The Rustler 300!